I am quite sure I work for an “industry”. Foreign countries colleagues would agree with me, probably. Italian colleagues would say “Are you sure?”. Proliferation of literature, cinema, theatre works is a clear evidence of the existence of an “industry”, lawyers know what I mean. No one is preparing a series for Fox channels or a great movie with Robert Redford playing as a market researcher (I also imagine Clint Eastwood as a bungled drunk statistician). 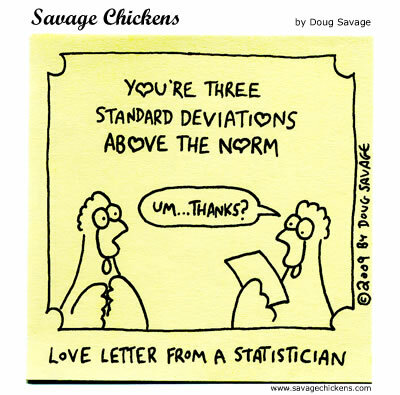 I am afraid Market Research could enjoy jokes only: here it is a classical “love letter” from a statistician.